The facility, which employs 29 people, hand-builds the LS3, LS7 and LS9 engines for the Chevrolet Corvette (and Camaro), and is also where GM builds its crate motors such as the LSX454 engine. The consolidation makes sense, as it will eventually allow customers to combine the experience of watching their Corvette being assembled while participating in the build of their vehicle’s high-performance engine, if they so choose. GM is currently keeping quiet as to just what those engines will be, but it’s a surefire chance that the new LT1 will eventually find itself on that line. 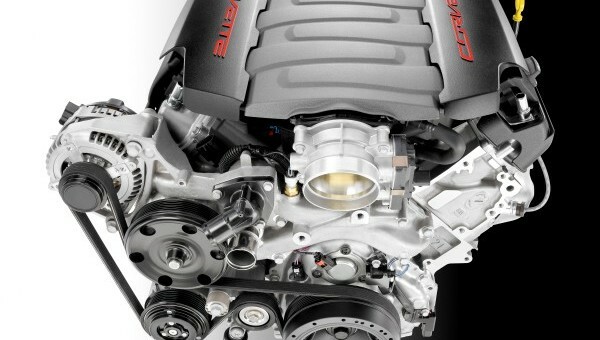 So is the corvette stingray’s engine hand built? I believe that the correct description is “hand assembled”. No one builds an engine block or valve head with hand tools anymore. The parts are machined with computer guided tools, then the so called “engine builders” assemble the engine parts together. The difference is like the ship modelers of the past that hand-crafted every piece and built the model, compared with the plastic model kits than most children (including myself) have assembled with glue and other materials. But if I had the chance I would build (assemble) any Corvette engine without buying a Corvette. Where do I sign up? What will become of Wixom? Will the crate motors still be built there? Bummer it won’t be in time for the first C7s. The move does make complete sense but I echo Kevin, what will become of Wixom? It looks like they’re shutting it down.